How to beat Chazz Princeton Lvl 40, Chazz Princeton's Deck, Decks to farm Chazz Princeton, Rewards. Here are some decks to farm Chazz Princeton Lvl 40. In-depth guides for those decks will be added as well. You just need to negate Chazz's Lightning Vortex. Be careful on the cards that you need to discard. You need to keep Gravekeeper's Vassal, Secret Pass to the Treasures and 2 copies of Union Attack for your final turn. I suggest using cards that have direct removal. Other then regretful rebirth, Chazz has no way to stop his dragons dying. When you see a Masked Dragon on the field, leave it alone. Unless you can guarantee kill whatever it summons out, then don't hit it. Otherwise, if it summons out a lvl 3 AD and you have nothing left to swing with, its gonna evolve next turn and start causing problems. The biggest problem with this deck is AD special ability. 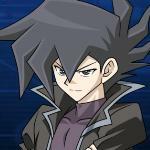 Remember that Chazz has to discard something with higher attack then your monster to kill it. If you can get huge creatures out fast, like synchro stuff, you can negate AD ability. Can anyone explain the reason dark flare Knight is in the farming deck? I genuinely don't understand what his use is (other than for the union atk) surely any 2200+atk unit can replace him if that's his only use? It's less expensive than 2 Paladins, and also has Dark Magician as a fusion material (as to not mess with the deck's balance and consistency). One of the drops I’ve ever had: 3 rainbow packs, including 2 prismatics, and 15 gems! Hell yeah! Can you show me your deck list? omg bruh, what if making 9k points was what made the trick? The Dark Paladin deck isn't reliable (or im just unlucky as hell)I have bricked 6 times in a row. Farmed chazz with the example deck dark paladin deck that is listed. I used a fusion subtitute monster instead of fusion sage since the card can be very difficult/expensive to get. The rest of the deck is exactly the same. The deck can't be 100%, there is always a chance you get unlucky, but it is really low, low enough to make it worthwhile farming him with the deck regardless. 2 notes: In my 13 fights I had no use for dark flare knight, he also dies to the (new?) armed dragon in chazz's deck, so you have to summon him at the very end or you risk losing him, summoning him at the end is also tricky because you have 4 cards you can't discard, and need 3 for the fusion. If you can summon dark paladin on turn one, it is not always the best play - Chazz can lightning vortex you on turn one, meaning that if the only card you have left after summoning your dark paladin is one of the key damage cards, you can't get the damage bonus. If you have only key cards left in your hand after summoning dark paladin, I see no reason not to take damage on turn one(dont summon dark paladin) to avoid a possible lighting vortex on key card...while you don't lose duel assessment points, this does open up a chance for him to use megamorph, should you not be able to discard a card to cancel it, then dark flare knight would actually be useful. There's obviously a very low chance of the duel playing out like this, but its a possibility. Wether you want to spend gems on getting dark flare knight or not is up to you. He's talking about turn 1 idiot. If you add fusion recycling plant into the mix, then that means turn 1 you will need 2 monster cards, poly, fusion recycling plant. You think all 4 of those cards will conveniently be in your starting hand turn 1? Fusion Recycling Plant doesn't really hurt anything. It just requires you have 1 expendable card in your hand instead of Polymerization. (Which is easier if you're running a card like Pot of Benevolence.) The upside's mostly just deck thinning potentially multiple times, though, given the recycled material just replaces Recycling Plant itself as far as fodder's concerned. The most broken, cancer and disgusting unfarmable 40 CPU ever. Look at what this son of a b.itch did: he had an Arm Dragon lv5 on the field against my weaker monster, while I had full LP (so no chance of ending the duel that turn), and his only Arm Dragon lv7 in hand. Instead of attacking to destroy my monster wanting to spec summon his lv7 (only to get a WoD in his face) HE DISCARDS IT for the cancer destruction effect. WHY. WHY THE HELL. Nothing "cancer" about it moron. Stop overusing that word. Morons like yourself refer to anything that's too difficult for your stupid brain to understand or solve as "cancer". With the new structure deck. Silent Magician farm has become surprisingly consistent and easy to put together (even if it requires real money). Works against a lot of duelists actually. Is this the deck before or after Restart nerf and does it make any difference?